← Day 20: Internet Marketing Seminar. Day 21: Ion Cleanse and More Cheese. 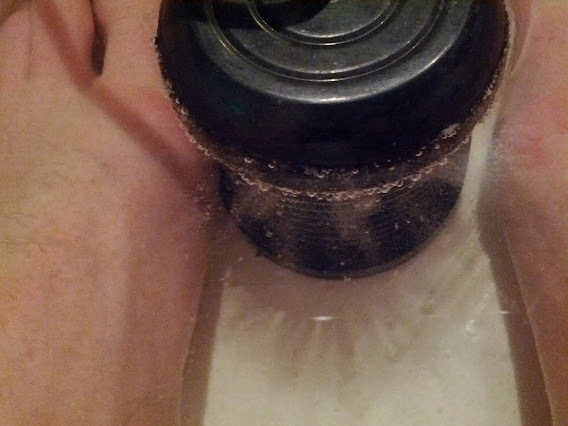 Anyone who has been to some kind of alternative health care practitioner will have seen the poster of a pair of feet soaking in what looks to be a clean tub of water, juxtaposed next to the same feet in the same tub, but in what now looks to be murky swamp water. It’s a real attention grabber, especially with the bolded, scary headline looming at you from beneath the photos, spouting something along the lines of ‘rid yourself of dangerous toxins now – ask us how!‘. So when a deal of the day presented itself for an Ion Cleansing Detox, I naturally pounced on the opportunity! I could feel myself already become purer, even as I entered my Visa card number. Which brings us to redemption day. I made my way to Eva Angelina Spa in the heart of Bloor West Village. It lies above the street through a fairly humble door that you might miss if you weren’t looking for it. Almost immediately upon entering, I am pleased to notice that it is spotlessly clean. 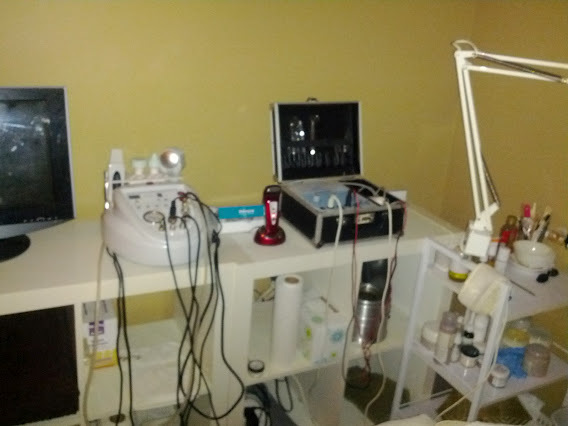 The place is run by a very hard-working Peruvian woman named Luisa, who personally gives me the facial (the other half of the deal), followed by the ion cleanse. If you are not a fan of extraction (that’s the part of the facial you either love or hate, where they pick out your blackheads), I would definitely recommend this place, as she was extremely gentle, yet thorough. It was certainly more than I was expecting based on how much I had paid for the deal. So far, so good. Now for the main event: the ion cleanse. 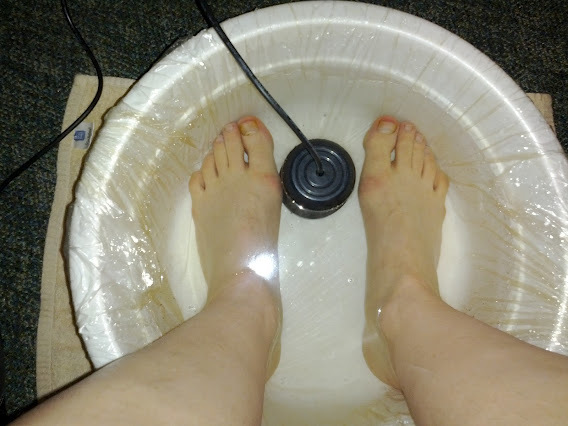 True to the poster, my feet went into a plastic bucket, followed by some electronic object that was hooked up to a machine. Another sensor was then strapped to my forearm. After re-confirming a few health-related questions such as my non-pregnant state, the machine started humming and things started swirling around the mini-Dalek looking thingy in the water, like a fine misty smoke. At this point, I was told to relax and sit tight for about a half hour, so I got caught up on a few emails (ok, more Angry Birds), and before I knew it, the timer went off, signalling the end of the detox. I hesitantly peered down into the water, expecting a swamp creature to emerge and drag me to the depths of some nether-world, but I was almost disappointed that it was merely a golden colour, faintly reminiscent of my urine when I am really dehydrated (such as when suffering from wine flu). Then again, I should have expected that there couldn’t possibly be too many toxins left in me after all the puddling I’ve been doing this past week in my daily hot yoga classes. But still. Luisa reassured me that the colour differs for everyone, and provided me with the chart, explaining that I was indeed suffering from joint problems. Well that’s a relief… Kinda, not really?? In any case, I took the opportunity to celebrate my newly detoxed self by attending a neighbourhood tea, cheese and wine tasting event. For real! Can you imagine my delight at finding three of my favourite things being celebrated together in one evening? 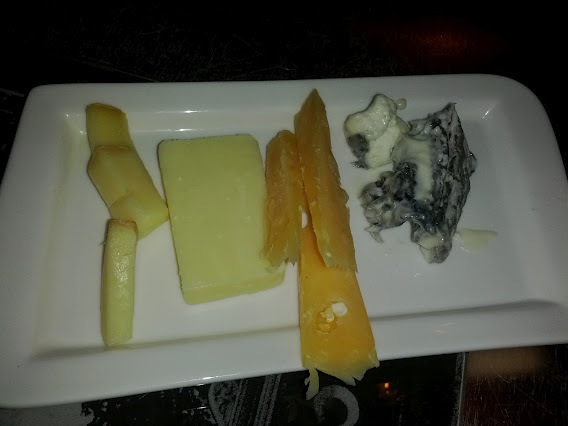 The first hour consisted of pairing fine teas with cheeses, and the second hour was spent savouring the more traditional pairings of cheeses with wines. Now, if you think pairing tea with cheese is unusual, think of tea with scones and cream, which is really not all that different from bread and cheese. Let me assure you, I was indeed pleasantly surprised, and look forward to doing more of my own research in this area. Cheers to the geniuses at Swirl Wine Bar, Curdy Girl and Majesteas for making this wondrous event a reality! Sweet dreams will definitely be mine tonight. 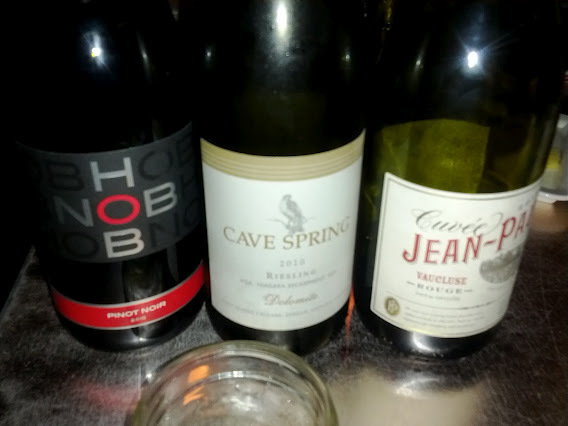 This entry was posted in Health and tagged cheese, CurdyGirl, deal, Eva Angelina Spa, facial, ion cleanse, Majesteas, March, Swirl Wine Bar, tea, voucher, wine flu. Bookmark the permalink. 2 Responses to Day 21: Ion Cleanse and More Cheese. Dear LaLa, Thanks so much for your blog entry on my workshop. I am thrilled! 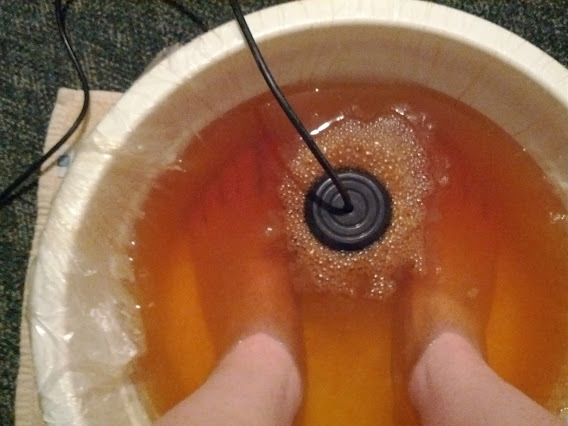 I offer Ion Detox foot Cleanses, too. I wan to let you know that the rust colour is from the salt quick rusting the electric coil. 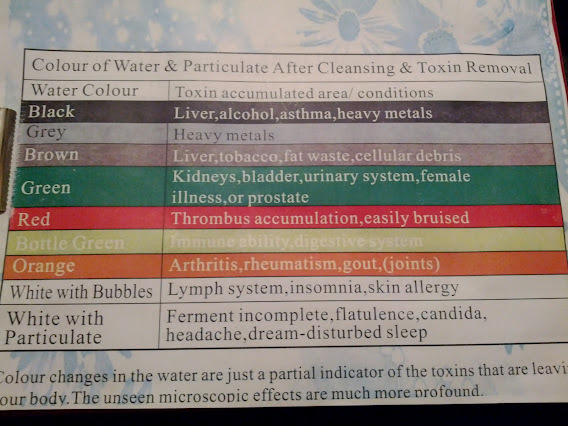 I know about those mystic charts that tell you that the colour of your water after the detox indicates problems in specific areas of the body. This is sadly made up. Salt and water do detoxify, and the machine does quicken and amplify the process, but the rest is mythical. If you are looking for something new to do again, I hope you’ll come to another of my workshops. 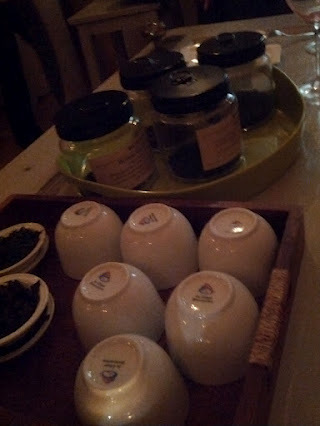 It was a real pleasure attending your bath oils & scrubs workshop back in early May at Grassroots. I will definitely keep my eye out for more! All the best.